I appreciate the gesture though, to be honest, I’ve been very busy in the last few months, so it has taken me a while to get around to looking through the book. And even then, you know, I’ve done most of my public work examining conspiracy theories. An ancient alien book is a little outside of the scope of my expertise, though I do find the idea of ancient aliens fascinating, if vanishingly improbable. He holds out Heinrich Schliemann, who, the story goes, used a copy of Homer’s Iliad as a guide to find the location of Priam’s Troy in 1870, as an example of an outsider defying the establishment and making great finds on his own. But he seems unaware that there are some real problems with Schliemann’s account of the discovery of Troy. Not the least being that the site he eventually dug at was originally identified as a possible candidate for the location of Troy in 1822—nearly 50 years before Schliemann’s find, that an amateur dig specifically looking for evidence of Troy had been ongoing at the site for seven years by the time Schliemann arrived, that the amateur archaeologist leading those exploratory digs, Frank Calvert, suggested to Schliemann that he poke around in the Mound of Haslarik, that of the several layers of debris found at the site Schliemann misidentified the one that is now thought to be Agamemnon or Priam’s Troy, that in his enthusiasm, Schliemann destroyed much of Priam’s Troy, that the hoard of so-called “Priam’s Gold” that was uncovered did not date from the Early Bronze Age, or that Schliemann privately absconded with the gold artifacts that he found there. Even if Schliemann’s account of the discovery were true, that merely interpreting the Iliad literally led him to the site of Troy, it does not follow that anything else that happens in the Iliad literally happened. Heck, even if he read the Iliad like a treasure map and found Troy, it doesn’t even mean that the Iliad is a good treasure map. Schliemann may have simply gotten incredibly lucky. Personally, I feel for alternative knowledge scholars, and I suspect that it is immensely frustrating to find their work unrecognized. So, in the spirit of reciprocity for Thomas’s thoughtful gift, I feel I should offer back some advice, three points, about how to adapt alternative messages and methods so that they are more likely to receive a hearing and consideration from academics. This juxtaposition suggests that objects with vastly different contexts share some sort of function. In fact, even the similarities are a matter of perspective. As you can see below, a profile shot of the jewelry shows that it is decidedly un-shuttle-like. 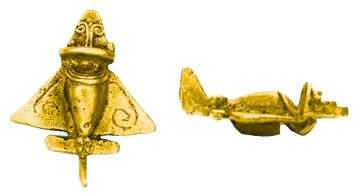 But when you understand that this bit of jewelry was found among a collection of stylized bugs, lizards and birds, none of which is out of keeping for jewelry of the time, suddenly the ancient alien explanation vanishes. It’s not actually an anomaly. A specialized understanding of local context of historical finds is crucial to generating credible hypothesis. As it stands, alternative scholars know a little bit about a lot, but not much about anything in particular. 2) Cite your sources in the text. When I teach research and writing classes, I describe footnotes and bibliographies as, in part, a courtesy to the interested reader. If someone, say a peer-reviewer, is genuinely interested in following up on a point that you have made, we need to know exactly where that came from, and it is your job as an author to at all points to show us all of your work. Depending on how you do it, it may be clunky and distracting, and god knows that it’s a huge pain in the neck to create a good bibliography or index if your research method does not anticipate it, but it is worth it to the reader. 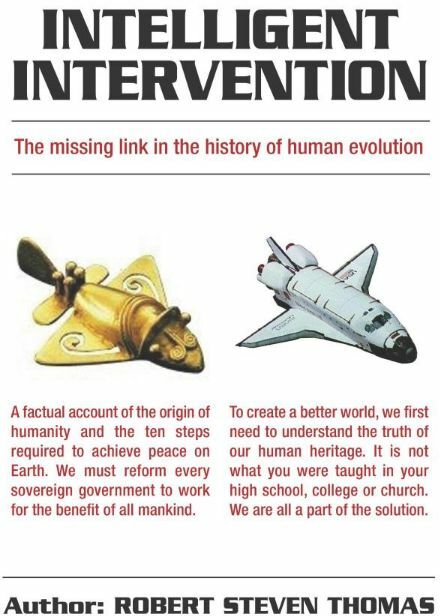 When reading Intelligent Intervention, for instance, when Thomas says that an alternative understanding of history is “well-established” I want to know WHO SAID THAT so I can follow up on it. The bib at the back of each chapter is just not specific enough to be useful. When you say that the Indian Vedas say something about a spaceship, I want to know which line in which translation you are using, and I want to know now. Without citation, everything becomes as unhelpful as a bare assertion. Reverse engineering an author’s research is not a reader’s job. 3) Maintain civility. This should go without saying, but I’ve seen so many alternative knowledge authors display such vitriolic contempt for mainstream scholarship that perhaps it is no wonder that they have so little understanding of what it actually says and how they derived their conclusions. Scholarship is not a series of ex cathedra pronouncements about truth, which are, ironically, exactly what unsourced research is. Take, for instance, the opening of the fourth chapter of Intelligent Intervention, “Collective Memories,” which describes as “categorically incompetent” the dismissal of the Great Deluge when “almost every one of the world’s cultures, though scattered around the globe and separated by millennia and vast oceans, all share stories of these same ancient recollections.” Recollections of floods are to be expected all over the world because people all over the world need access to fresh water, which means rivers, which means floods, which means flood stories. An understanding about how orally transmitted stories tend to amplify memorable aspects of their stories at the expense of unremarkable content, easily explains how flood stories of global deluges are so common—the story itself is more memorable. But dismissing the vast amount of research about this process, indeed failing to display any awareness of this literature—is often why such assertions are dismissed. It’s not from ignorance, as alternative theorists suggest, it’s out of genuine expertise. Don’t ever suspect that the other side will ever take you seriously if you start out with “they are incompetent.” You might try, “I think that they are wrong,” then show you understand their argument, and then point out the flaws. Like I said, I appreciated Thomas’s gift, and it’s an interesting look into alternative knowledge culture. But no matter how good their work is, alternative scholars will remain isolated from mainstream consideration if they don’t address these oversights. Hi again, everybody! I’m concluding my section on alleged animal languages with some shorter sub-sections on specific topic areas. The psychologist and zoologist Irene Pepperberg, who has collaborated with linguists, holds that the vocal behaviour of African grey parrots displays some of the characteristics of human language, and that they are capable of being taught to communicate using aspects of human language. One particular parrot (‘Alex’) reportedly acquired a 150-word vocabulary and used it in a sophisticated way, performing in a way similar to that of a two-year old child; he was also able to differentiate meaning and grasp features of syntax (and to count up to seven). Alex was learning the Roman alphabet and could indicate the names of fifty types of object when he died. Other parrots have demonstrated similar abilities. Pepperberg’s ideas have been reviewed in fairly positive terms. Against critics’ claims that Alex had been taught a ‘script’, she argues that the controls and tests which she used made it impossible for him simply to recite words when she asked questions. Theodore Barber discusses bird communication mainly in terms of non-linguistic and paralinguistic systems, but endorses Pepperberg’s claims and argues that the general intelligence of birds is equal or even superior to that of humans (he likens it to that of cetaceans; see earlier). Robert Carroll recounts another case of an African grey parrot (‘N’kisi’) which can allegedly engage in conversation. Several studies have tested the ability of dogs to learn at least the vocabulary of human languages, especially nouns referring to specific, concrete items. Considerable success is claimed, but of course the more specifically ‘human’ aspects of language are not involved here. Another, linguistically more original proposal involves the Bliss Symbols. Of course, sheepdogs can be trained to respond to many distinct whistles, and indeed Robert Schusterman reportedly taught a sea-lion (related to the dogs) over 190 distinct gestures. (See also earlier on Fitch’s work on seals.) However, like the more modest passive repertoires of domestic pets, these abilities do not appear to be linguistic in a strict sense (see again earlier). There is also, of course, a large corpus of wholly sober mainstream work on communication with such animals. There have been various papers in anomalist journals on the alleged apparently untutored use of human languages by cats, cows, goats, elephants, tortoises and fish; and on reports of humans using sponges for the recording and re-playing of human speech. Others who have suggested that animals obtain information and communicate by ‘telepathic’ or other mystical means include figures as varied as Rupert Sheldrake, Ted Andrews, Henry Blake, Amelia Kinkade, Trisha McCagh, Arthur Myers, Ashleea Nielsen, Jim Nollman (on alleged wide-ranging inter-species communication though music), Joan Ranquet, E. Scott Rogo, Penelope Smith, etc. It has been suggested that dolphins in particular are strongly telepathic and can understand unspoken thoughts. Eris Andys presents an account of work with dolphins and whales inspired by that of Lilly (see earlier) but involving alleged psychic communication with these cetaceans and combining ideas adopted from Lilly with those of Peter Tompkins and Christopher Bird and of Stephan Schwartz and his ‘Mobius Group’; both of these groups of thinkers are advocates of the reality of psychic powers. Because of the nature of these claims, linguistic details are not normally discussed in the relevant texts; most of these claims are thus of only peripheral interest in this present context. However, Karen Stollznow offers a very useful skeptical review of claims regarding psychic pets. There have been many sensationalistic reports on ‘the secret life of plants’ (see especially Tompkins as just mentioned), but understandably these seldom involve linguistic matters (though it is claimed by Tompkins that plants can be trained to count). There are also claims involving communication involving even stone and water. Some reports of non-humans using language involve apparitions of entities interpreted as the spirits of deceased animals. One of the most striking cases involved the ghostly Manx mongoose known as ‘Gef’. According to some writers who accept their existence, some human-like mysterious animals (cryptids), notably the Himalayan yeti, the North American sasquatch, the Asian almas, etc. (which some writers equate to or liken with supposedly extinct human-like primates such as the pre-historic Gigantopithecus, or indeed Homo neanderthalensis), manifest linguistic or near-linguistic behaviour. If yeti, sasquatches and such exist, they would appear to be very closely related to humans, which renders the matter especially interesting. Some reports attribute telepathic and associated linguistic powers to sasquatches. However, there are in addition more sober reports of what could be pre-linguistic behaviour involving these cryptids. Myra Shackley also summarizes reports of apparently pre-linguistic behaviour and/or attempts at communication with humans in rudimentary human language among the alleged humanoid almas of the Caucasus and Mongolia (but not among Himalayan yeti or the Chinese yeren). In Belizean folklore, the duende (unlike the other local humanoid cryptid, the sisimite) is explicitly described as able to speak. Until recently, there has not been sufficient data on any such cases which might be suitable for analysis; but I am now working on one such case. ideas about relationships between these creatures’ linguistic performances and the Fijian language (and has apparently naïve notions about language generally). Are there any other general topic areas of skeptical linguistics which might be of especial interest? Let me know! Hi again, everybody! More on alleged animal languages, starting with non-human primates. Opinions vary greatly among linguists and other researchers as to the degree to which human-like primates (chimpanzees, bonobos, gorillas, orang-utans, other apes, monkeys), sharing as they do large percentages of the human genome, display the capacity for language or indeed display genuinely linguistic thought and behaviour involving systems of complexity and flexibility similar to those of human languages – featuring, for instance, double articulation and syntax. Some rather impressive cases, adduced by supporters of the view that genuinely linguistic features do occur among non-human primates, involve monkeys. Wild putty-nosed monkeys apparently combine tokens of their three basic calls to generate novel messages, as it were syntactically, or vary their individual calls by adding what appear to be morphological suffixes, in some cases apparently distinguishing between predators which they have observed directly and those which they know others have observed. These features appear quasi-linguistic, near-linguistic or associated with roughly equivalent features in human language, although none of them seems to be strictly syntactic in nature. Even where spontaneous linguistic thought and behaviour is not claimed, it is often claimed that primates do possess the capability of being taught key aspects of human language, again involving, for instance, double articulation and syntax – even if they have not developed these characteristics themselves, and even if they are incapable of phonation and require to be trained in other modes of expression (notably signed languages such as are used especially by deaf humans). For instance, some chimpanzees which have been raised largely among humans have reportedly become capable of acquiring and manipulating large vocabularies (150 words or more) and other significant aspects of human language, and on this basis it is argued that they demonstrate genuinely linguistic thought and behaviour. On this basis, a New York Times reporter competent in sign language, Boyce Rensberger, was able to conduct what he regarded as the first newspaper interview with a member of another species when in 1974 he ‘conversed’ with Lucy, a chimpanzee who had been instructed in signing (see below). Scholars critical of such claims argue that even the ‘higher’ primates are unable to link symbolic sounds together in sentences or produce other key features characteristic of language, either after or without attempts at instruction, and that attempts to teach animals human language are doomed to failure. Scholars with such views include Noam Chomsky and his followers such as Stephen Budiansky and Steven Pinker, who adopt such positions largely on theoretical grounds (involving the alleged ‘hard-wiring’ of the language faculty in humans specifically) but who also present empirical evidence supposedly upholding their views. Some active empiricist researchers also reject or at least challenge claims regarding primate language use or language acquisition. Yet other researchers adopt intermediate views on the issue, regarding the empirical evidence as mixed or equivocal, or hold that some primate communication systems should be considered not strictly linguistic but pre-linguistic in character. The debate continues. R.M. Seyfarth and D.L. Cheney (with Klaus Zuberbühler, whose own wording is linguistically naïve) suggest that non-human primates have not developed their pre-linguistic behaviour further predominantly because, unlike Homo sapiens, they lack a ‘theory of mind’: the recognition that others have thoughts. At some point in human evolution, on the other hand, humans developed the desire to share thoughts, and natural selection led to the development of language as a means of achieving this. This suggests that non-human primates might be regarded as quasi-autistic; the notion is that both non-human primates and (by preference) autistic humans (and maybe also horses, cetaceans and birds; see below) think and communicate pictorially rather than linguistically. Ideas similar to those proposed by Seyfarth are proclaimed by Temple Grandin (who has close personal experience of autism as well as relevant professional expertise), and there seems to be much to commend them, although the specifics are open to debate. Another group of authors, of a clearly non-mainstream kind, who uphold the view that language is specific to the human species are Christian fundamentalist writers such as the psycholinguist Clifford Wilson. Wilson supports a Chomskyan species-specific model of language as part of an anti-evolutionist program. He analyses the communication systems of various species in terms of distinct ‘types’ of animal, as is usual among creationist thinkers, with the different types each possessing their own, unrelated and in fact specially created systems. One increasingly important aspect of this debate involves genetics. Since mid-2002 evidence has accumulated regarding the appearance of the supposedly crucial FOXP2 chromosome-code at the relatively recent date of 200,000 BP – around the time when Homo sapiens may actually have begun to speak or at least sign; some of the physiology needed for speech seems to have appeared later. On this ground, many scholars have argued that it is unlikely that non-human primates have the capacity for genuine linguistic behaviour (or indeed that pre-sapiens hominids had such capacities). Even the closely related chimpanzees display possibly crucially different forms of the relevant gene. It must be noted, however, that not all linguists agree as to the significance of FOXP2 in respect of the human language faculty. Very different interpretations of some of the key findings have been advanced by non-nativist linguists such as Geoffrey Sampson. In addition, it is conceivable that non-human species might possess very different systems of similar complexity and flexibility which are based otherwise than in any given genetic feature such as FOXP2. Indeed, members of Homo erectus (to all appearances) must have built boats to reach insular Flores around 840,000 years BP and it is suggested by some that they must have been able to speak or sign in order to organize such a complex enterprise. Manipulation of the relevant genes is reported to have altered the mental and behavioural capabilities of mammals such as mice; and a more ‘positive’ interpretation of the situation with respect to non-human primates could involve the suggestion that chimpanzees and bonobos could now be readily induced to develop language, or at least to learn human languages more effectively, by manipulation of the relevant gene. I will say a little later on the alleged (near-)linguistic capabilities of supposed human-like cryptids (sasquatch, etc.). The Burzynski Clinic is going through some issues right now. They are in the process of getting audited for the past month by the FDA. The FDA has also gotten approved to continue their audit for another month. I believe it was August, the FDA stopped new pediatric patients because a child had went into a tumor related coma and did not get enough water during treatment, thus spiking the sodium level to a fatal level. Now, in January, for reasons unknown to me, the FDA has suspended new adult patients from the ANP as well. I do not know when the new patients will be allowed again or if any restrictions on current patients will also follow. Friday, the Burzynski Clinic shipped us 3 months of ANP, where they normally only ship 2 weeks. They are being proactive and making sure we have the meds she needs just in case any medicine production is stopped. Apparently, a person who monitors the medicine production had a serious medical emergency. This, along with the FDA auditing has us a little on edge waiting to see how it all plays out. Even though this is bad news for the clinic, there is silver lining because when this is finished, the clinic should be moving into Phase 3 of the clinical trail and hospitals and doctors should be able to start prescribing the ANP and doing clinical trials of their own. To my knowledge, Dr. Burzynski has the only medicine not sponsored or picked up by a pharma company. I think that’s why things don’t work like they do for normal drug approval. In the last month, the clinic removed all mention of ANP from their website, and we did not know why. This might explain it. I am nauseated at the thought that their drug out-and-out killed a patient. Also, it sure looks like they are shipping ANP across state lines, doesn’t it? Looks like the FDA had a birthday present for ol’ Stan too.